Editor's Note: This report was produced in collaboration with Mission District neighborhood newspaper El Tecolote. Haga clic aquí para leer en español. 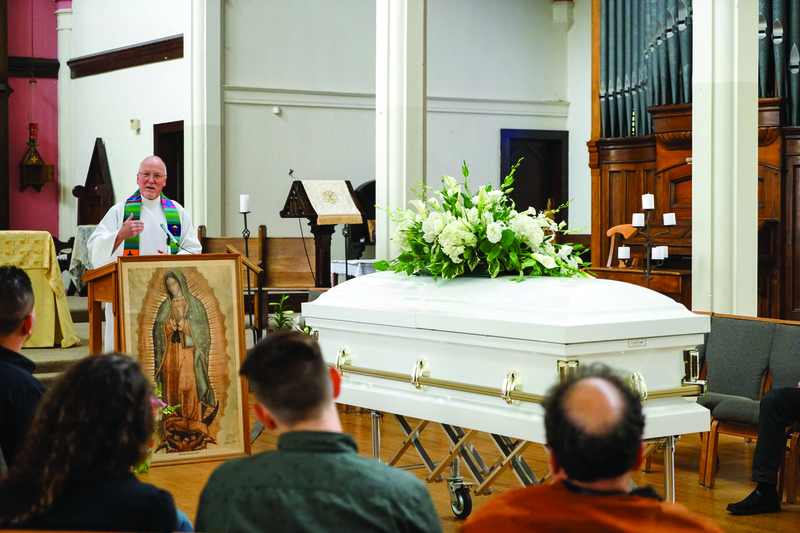 In the 14 months since two plainclothes police officers shot and killed a 20-year-old Guatemalan immigrant carpenter in San Francisco’s Mission District, the local landscape of police use of force has begun to shift. The district attorney’s decision is expected any day on whether to file criminal charges against two police officers who shot Amilcar Perez Lopez six times from behind. That decision will land in a city that's been the scene of a series of controversial police shootings of black and Latino men, and it will either launch a criminal prosecution or allow a federal civil lawsuit to proceed. Over the past year, Perez Lopez’s name was rarely mentioned at the protests, press conferences and meetings that chronicled the Police Department’s controversies and led to halting reforms and growing public anger. 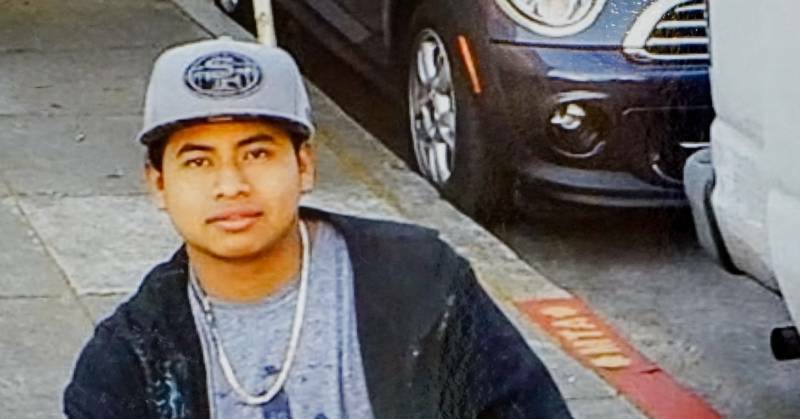 The city was more focused on two other fatal police shootings -- of Alejandro Nieto on Bernal Heights in 2014, and the 2015 slaying of Mario Woods in the Bayview. It was the Mario Woods shooting, caught on cellphone video from multiple angles, that propelled the Police Department into a federal review and a rewriting of the rules governing all use of force, from control holds to firearms. A jury cleared the officers involved in the Nieto shooting after a highly publicized federal civil rights trial. With few notable exceptions, the investigation of Perez Lopez’s death was a whisper amid the roar of those calling for police reform. But over the past year, a small network of advocates, attorneys, investigators and neighbors have worked behind the scenes to facilitate a complex investigation involving witnesses fearful of retaliation from police and immigration authorities. “The neighbors started gathering our own evidence and started doing our own investigation,” said Florencia Rojo, a former neighbor of Perez Lopez, who discovered the homicide scene when she tried to return home on Feb. 26, 2015, the night he was killed. Her house, just one door south from where Perez Lopez lived, was blocked off by police, so she went around the corner and tried to climb into her neighbor’s backyard. That’s where she met one of the dead man’s roommates, whose account of the shooting differs significantly from the multiple versions offered by Police Chief Greg Suhr. At a town hall meeting four days after the shooting, Suhr said two officers responding to a 911 call about a man with a knife came upon Perez Lopez and another man he was allegedly chasing on Folsom Street, between 24th and 25th streets. Perez Lopez charged the officers from 5 feet away with the knife "raised overhead," Suhr said. Also at that meeting, Mission Station Capt. Daniel Perea said the other man, later identified as Abraham Perez, told him the officers had saved his life. A 3-D rendition of gunshot trajectories provided by civil attorneys for Perez Lopez's parents. Officers Craig Tiffe and Eric Reboli, who shot Perez Lopez that night, have long since returned to duty. Perea said in a recent interview that both officers are still assigned to Mission Station. He declined to say whether Tiffe and Reboli had returned to the plainclothes unit, though, citing concerns for the safety of his officers. 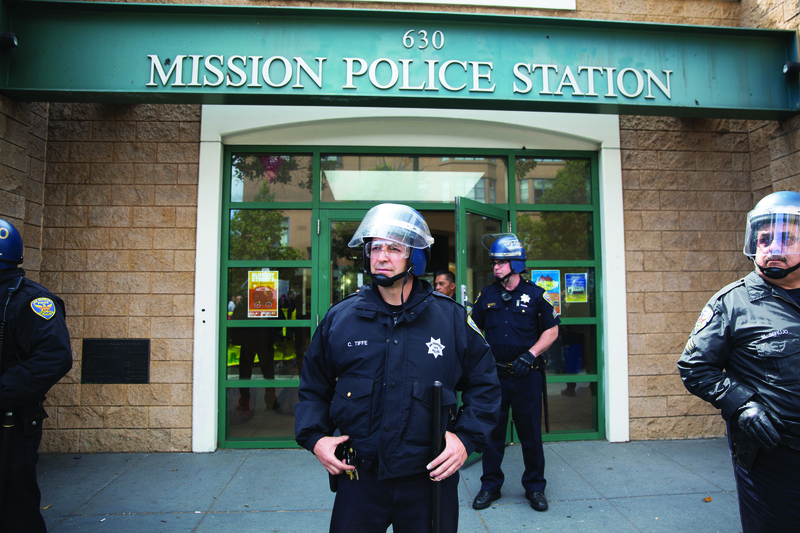 He said in the past year Mission Station's plainclothes unit added a supervisor, and it now consists of two supervising sergeants and 10 officers. Meanwhile, the district attorney’s investigators conducting their own investigation pursued a lead of the two roommates who were rumored to have seen the shooting. He says, for the same reason, that he and the other man were afraid to talk to Police Department investigators, and they made a pact not to do so without an attorney. That frustrated the Police Department’s homicide investigation, according to declarations filed by three SFPD officers in a federal wrongful death civil case brought by Perez Lopez’s family in Guatemala. The officers wrote that the roommates changed their stories and evaded questions. Sgt. Anthony Ravano declared that he spoke with two roommates the night of the shooting, and that they stated they had not seen the shooting, but only heard gunshots. When Lt. Daniel Dedet and Ravano tried to follow up, one of the men said an attorney told them to say nothing, and the other reached by phone evaded questions, hung up and didn’t return a phone message. “In summary, both roommates have refused to cooperate with the SFPD investigation after speaking with civil attorneys for Mr Perez Lopez’ family,” Ravano wrote. Attempts to reach Abraham Perez were unsuccessful. Civil attorneys for Perez Lopez's family say he told them in an interview that Perez Lopez was simply running from the plainclothes officers when they started shooting, and he likely didn't know the men were police. Near the end of last year, District Attorney George Gascón started pushing for interviews with the roommates, according to Florencia Rojo and the Rev. Richard Smith. The district attorney’s office declined to comment for this report, citing an open investigation. Smith said Gascón called him last fall. Rojo said she got a similar phone call from Gascón. She, Smith and others worked to help the men overcome fears of immigration enforcement and the trauma of seeing their friend shot dead by police. A network that included Smith and Rojo worked to secure an immigration attorney for the men, who are both living in the U.S. illegally. The attorney, Laura Sanchez, said she is in the early stages of pursuing a special visa for witnesses or victims of violent crime. Their visa petition, however, involves a crime unrelated to the Perez Lopez shooting, she said. The stress weighed heavily on the roommate, who spoke recently for this report. He said he's often had trouble sleeping. "I felt the need to talk because I felt like I was dying inside," he said in Spanish. "I was feeling terrible because I felt like justice wasn't being done. I'm not well psychologically. It's hard when you see somebody who you love get killed." 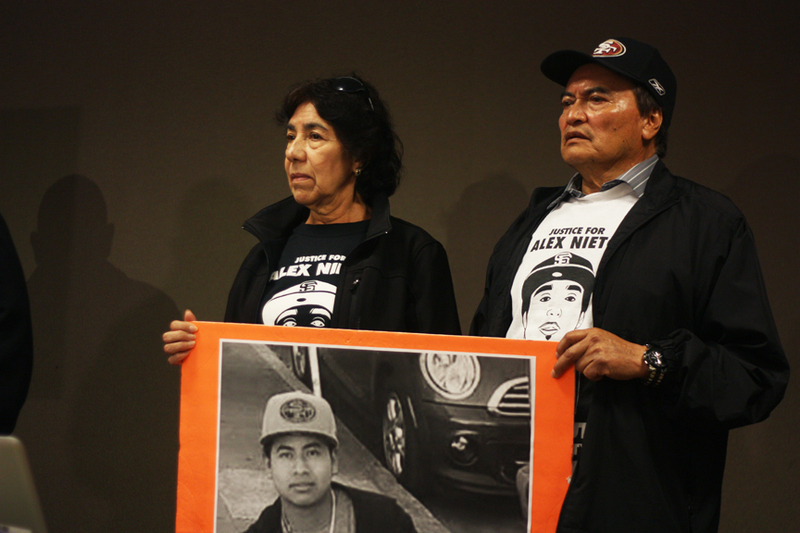 On Dec. 7, Rojo accompanied the man to a dinner meeting with Elvira and Refugio Nieto, the parents of Alejandro Nieto, who was shot and killed by San Francisco police officers in 2014. The Nietos explained the process their son's case had followed, and they encouraged the roommate to come forward, they said in an interview on April 25. "That's when I told him not to worry, not to worry and not to be afraid," Elvira Nieto said in Spanish. "You could see he was in despair and by his way of speaking, you could tell he was very nervous. But he talked about how they shot him [Perez Lopez] in the back." The Nietos said they told Perez Lopez's roommate that if more witnesses had come forward in their son's case, and earlier, perhaps they would have seen a different result. Gascón cleared the officers who shot Alejandro Nieto of criminal wrongdoing in early 2015. The DA found that four officers who fired a combined 59 gunshots at Nieto reasonably believed the object he carried and allegedly pointed at them was a firearm. The officers discovered after fatally shooting Nieto that he had a Taser stun gun. "If they treat this case the same way they treated Alejandro's, the same thing will happen," Refugio Nieto said. He said his son's case shows an unfair bias in favor of police officers in both the criminal and civil systems. "Alejandro, he is gone, but now we’re a symbol of the community, to help others and understand the upcoming process. Amilcar’s case is the one that is next." About a week later, the advocates brokered a meeting between Perez Lopez's former roommates and DA's investigators in Richard Smith's church. Florencia Rojo sat in on the four-hour interview with the men. One of them recounted the night Perez Lopez was killed in an interview April 28. He said he ran outside after another roommate told him Perez Lopez had come into the flat and grabbed a knife. "I wanted to stop any kind of trouble Amilcar was going to get himself in," he said. "We saw him walking toward us calmly." The former roommate was about two doors north of Perez Lopez, standing at the edge of his house's entry and the sidewalk, when he saw two larger figures emerge from the darkness behind his friend. "One of them tried to grab him from behind, without saying anything," he said. But Perez Lopez squirmed free and ran toward the street, between two parked cars. "They said 'Drop the weapon,' " then both officers fired almost immediately," the man said. "I don’t know if he even got a chance to drop it, but when the first shot was fired, he dropped the knife. I heard the shot, and when I saw that, I felt my legs go weak." Perez Lopez was running into an empty street, the roommate said, neither a threat to officers nor anyone else. "They didn’t even talk to him," he said. "They just shot him." The roommates' statements prompted DA's investigators to descend back onto Folsom Street in late December, according to Smith and others in the neighborhood, interviewing dozens more people. 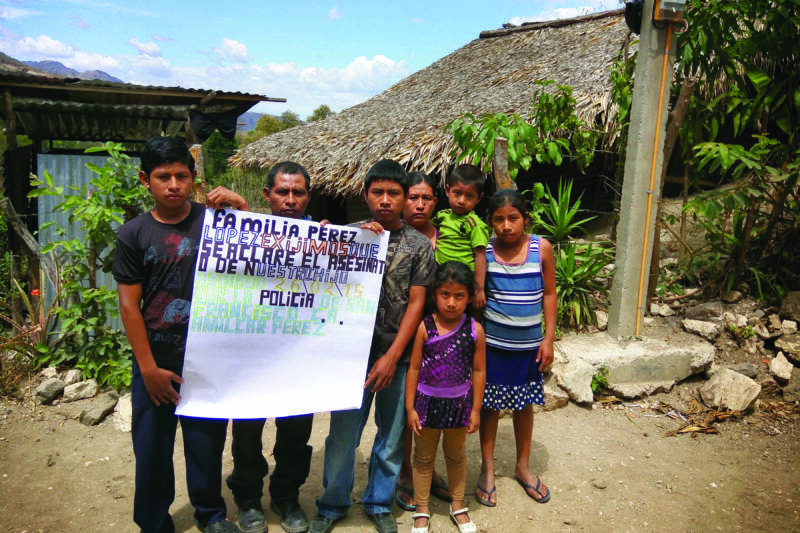 Since then, the small community of former friends, family and their advocates have been awaiting Gascón's decision. Suhr has pledged to effectively end uses of deadly force against people with weapons other than a firearm, and the department continues to expand de-escalation and anti-bias training. But even as the department makes those moves, it's confronted by fresh controversies. On April 7, two officers shot and killed Luis Gongora, another Spanish-speaking man allegedly wielding a knife, in the Mission District. As in the Amilar Perez Lopez case, some witnesses have contradicted the police account of the incident, which the department says occurred after Gongora lunged at officers. Alexis Terrazas is editor-in-chief of Mission District neighborhood newspaper El Tecolote. Alex Emslie and Nicole Reinert are reporters for KQED News.